It’s no secret that Steve McQueen’s 12 Years A Slave, an Oscar frontrunner currently playing the rounds on our local big screens, bears many similarities to Quentin Tarantino’s Django Unchained. They’re both Oscar heavyweights from uncompromising directors, they both feature impressive and talented ensemble casts, and they even released at a similar time in the year, just twelve months apart. The most obvious, though, is that they share a subject matter; black slavery in the antebellum American south, with both films spending the majority of their time drifting between various plantations run by cruel, oppressive white masters. It’s easy, then, to see why people are drawing comparisons between the films, and to an extent it’s fine to do so. What’s not fine is those who are using 12 Years A Slave to take a dig at Tarantino for being somehow insensitive and immature with his work, simply because Slave is such an extraordinarily tough film. What these people need to remember is that Django Unchained and 12 Years A Slave, for all their similarities, differ drastically in one key way: one is an exploitation film, the other is a corporeal drama knee-deep in verisimilitude. Personally I loved both films for entirely different reasons. Clearly they’re designed to be appreciated in adversely opposing ways. 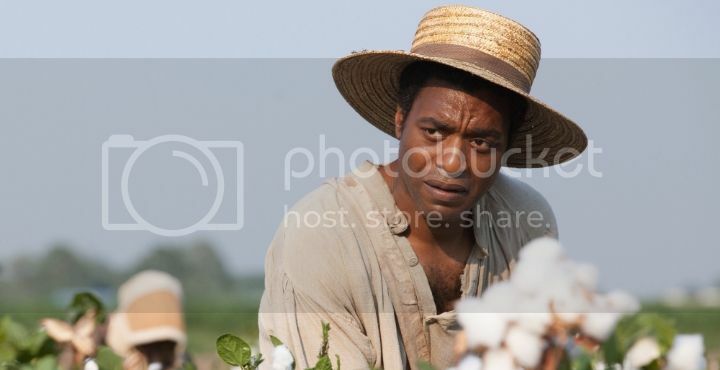 To a critical eye, 12 Years A Slave may appear to be the “better” film because it’s more grounded, cuts deeper into the core of the human spirit to show us how it really was back then, and the brutal realism subjugates the delicious surface of beautiful visuals and a flashy cast. Django Unchained, on the other hand, is quite happy to remain snuggled up to its ludicrously entertaining surface and focus on stories of love and comradeship rather than delve right into heart of slavery at the time. Why, therefore, do people feel the need to proclaim that McQueen made the film Tarantino only wished he could? Do they really think that argument holds up? That 12 Years A Slave is the film Tarantino wanted Django to be? Of course it isn’t, and it’s a ludicrous waste of time to say so. Quentin Tarantino is one of the most uncompromising and fastidious directors working today – he always knows exactly what he wants to do and how he’ll do it. I mean hell, just this morning the news came through that he’s dropped his proposed next film, The Hateful Eight, because someone close to him leaked the script to an agent. He’s so particular that he actually sidelined the whole project just like that. So clearly, anything that he does, he does for a reason. It was clear with Django that, while placing the narrative on sensitive undertows, he was above all interested in entertaining his audience with the sharp wit and engaging set-pieces that he does so well. Occasionally the film touches on the brutality of slavery, and it never shies away from the reality of the world it’s portraying, but not for one minute out of the 165 do we feel he’s trying and failing to send a message. The problem, I think, comes down to a lack of acceptance for comedy over drama; or what is often seen as frivolity over maturity. Just look at the major awards ceremonies: when does a comedy ever win top prize over a serious drama – particularly if said drama is portraying a true story and/or a character with a disease or disability? Never. It just doesn’t happen. Of course Django Unchained, while very funny at times, isn’t a comedy, but the central conceit is the same. Like its central characters, Django Unchained is rambunctious while 12 Years A Slave is solemn, but nobody is going to have a go at 12 Years for lacking the sense of humour or entertainment value that Django has. It just wouldn’t happen. And rightly so, I might add, for neither film, whether it’s the two in question or 2001 and Serenity, should be used to belittle the other in such a way. Like or dislike Tarantino, it makes no difference to me. That’s not the point of this article. I just resent the idea of using an extraordinarily impressive film like 12 Years A Slave to derogate anything that isn’t as honest or “grown-up” in its portrayal of the same subject, or a film or filmmaker they dislike. It’s a really cynical way of looking at films, and it contradicts the very joyous nature of cinema. We watch films to be entertained in different ways. To be surprised, to be shocked, to be informed. We’ll sit down and watch two films like 12 Years A Slave and Django Unchained knowing full well that they’ll have similarities to one another, but we crave more than anything to be treated to two different experiences. Cinema’s a fluid art – can’t there be room for both?